I had been trying to figure out what to do around my propane fireplace to make it look nicer, softer. I found the headboard of a queen bed for sale on craigslist and it was the perfect solution!! It looks so nice to me!! Originally I was going to paint it for another purpose until I realized it would give a lacy look behind the fireplace! I am so happy with it! Now the "plus" is from something I saw on another blog and stuck in my head. When I was on pinterest (so habit forming!) 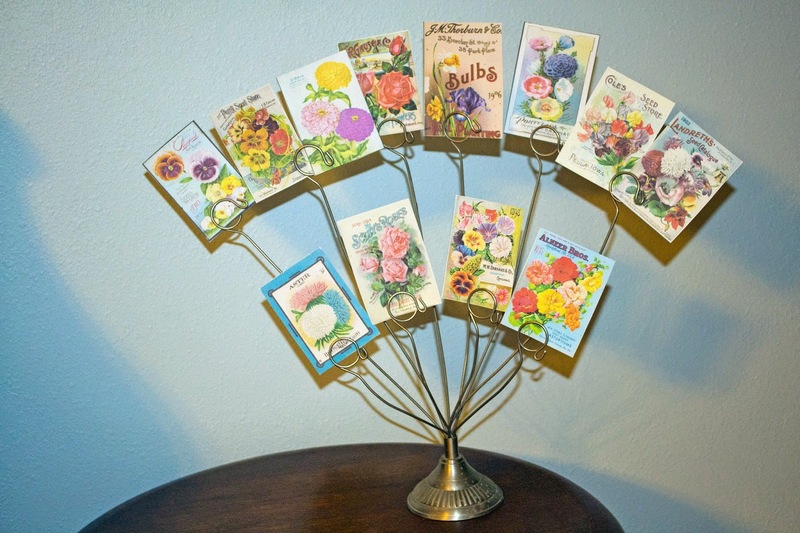 I saw vintage seed packets and did this with a picture holder. I though this idea was so cute! And I can change it up any time I want. My walls are not this oddly bi-colored blue, which I think was caused by the flash. They are actually a very, very pale blue like behind the fireplace. These seed packets made me think of Spring! Like it? I like both of those idea. Rose, you are right, the headboard is just perfect! Really softens that corner up. I love old seed packets and that is super cute as well. Hi Rose, Gorgeous look adding the headboard behind the fireplace. It just adds to much to finish the area nicely and fill in the space. You are so talented and have such a good eye to see this and it worked perfectly. Love the seed holder too. Have a great rest of the week and Happy Spring. 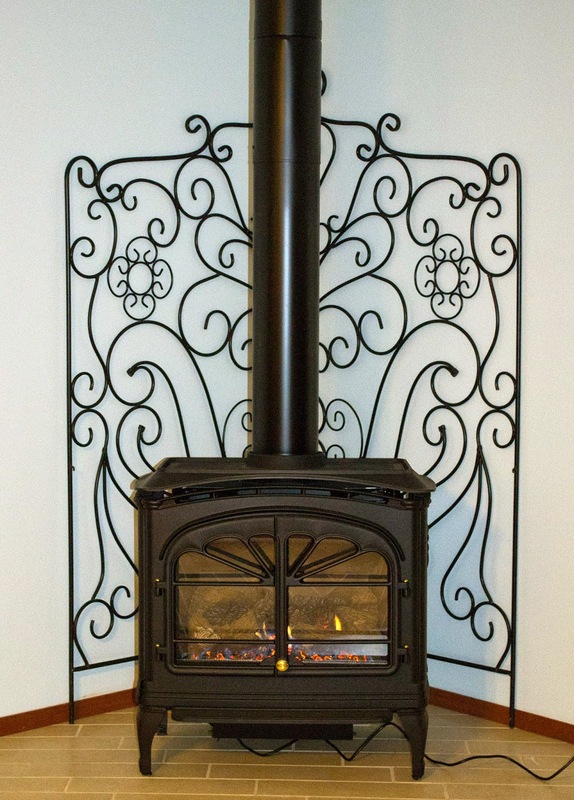 Ah Spring is in the air Rose for you........ and well done indeed re the fireplace - very inventive of you and it really does look a treat - perfect! What a great idea. Makes the whole area look more finished. The headboard is a perfect solution for the fireplace. Love the seed packet idea. The headboard is such a brillant idea. It makes the fireplace very chic and somehow more girly. Very clever ideas. The headboard is perfect and those seed packets are a fun alternative to pictures. I think your revamped fire place surround looks fantastic. What a great idea! Have a great week and thank you for stopping by my blog. The fireplace looks incredible! I now want to paint lacy flowers all over your wall, extending from the headboard! Sort of modern Victorian! Hi Rose, stopping by to wish you a very Happy Easter. love the lacy look the headboard gives the fireplace, rose! such a great repurpose idea! have a great weekend! What a fun way to display the seed packets! Thanks for visiting my blog. What a clever idea. It really makes a nice backdrop for the fireplace!